ST. THOMAS, USVI (CBS USVI) — Months long delays left piles of debris still sitting in St. Thomas. But FEMA isn’t calling it a delay. “There were not necessarily delays there were just contractual and permitting challenges,” Eric Adams with FEMA Media Relations told CBS USVI. Adams with FEMA said contract issues with the barge companies led to the first barge heading out September 24th. That first barge took out over 10,000 cubic yards of construction and demolition debris to a disposal site in Texas. There was nearly 600,000 of it left over from the storms. “That barge that took those 13,067 of construction and demolition debris off St. Thomas that barge came from Puerto Rico so there is not a barge on St. Thomas to take the debris off the Virgin Islands,” he added. All of the debris at the Cancryn site in St. Thomas was brought over from Estate Nazareth in St. Thomas and from St. John. The construction and demolition debris should be removed by end of October. The vegetative debris, which is also at the site, is still being assessed. “We are still determining the final disposition of the vegetative debris there have been no decisions been made yet,” Adams added. As far as when this site will be completely empty, FEMA can’t say, but they only hope it is as soon as possible. In the week of October 29thsome of the debris is set to be removed. The barge will arrive and take some debris from St. Thomas. Vegetative debris is available for pick up on St. Thomas and St. Croix, you can contact the Virgin Islands Agriculture Department for more updates on vegetative debris. FEMA asks anyone coming to pick up vegetative debris doesn’t come to the Cancryn site in St. Thomas or the Bodyslob site in St. Croix. In St. Thomas you can pick it up in the west end in Bordeaux. You should contact the Virgin Islands Agriculture Department for more information on when and where to pick up vegetative debris. 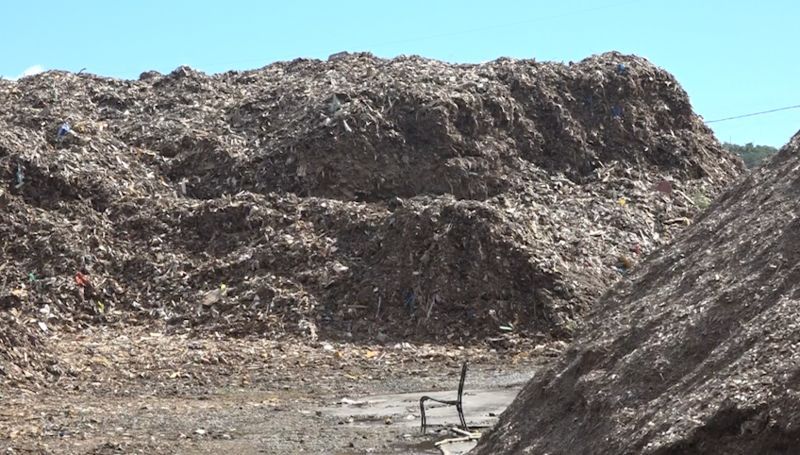 In St. Croix, mulch can be obtained from the Rudolph E. Shulterbrandt Agriculture Complex in Estate Lower Love from 7:30 a.m. to 11:00 a.m. and 12:00 p.m. to 3:30 p.m. Tuesdays and Thursdays. Beginning Thursday, October 25, 2018 assistance with loading will be provided for persons with small trucks. Persons who do not require assistance with loading may collect mulch Monday through Friday 8:00 a.m. to 12:00 p.m. and 1:00 p.m. to 5:00 p.m. Residents must bring their own vehicles, shovels, and other necessary equipment for pick-up.